Content: 55% sour cherries and 45% natural apple juice. 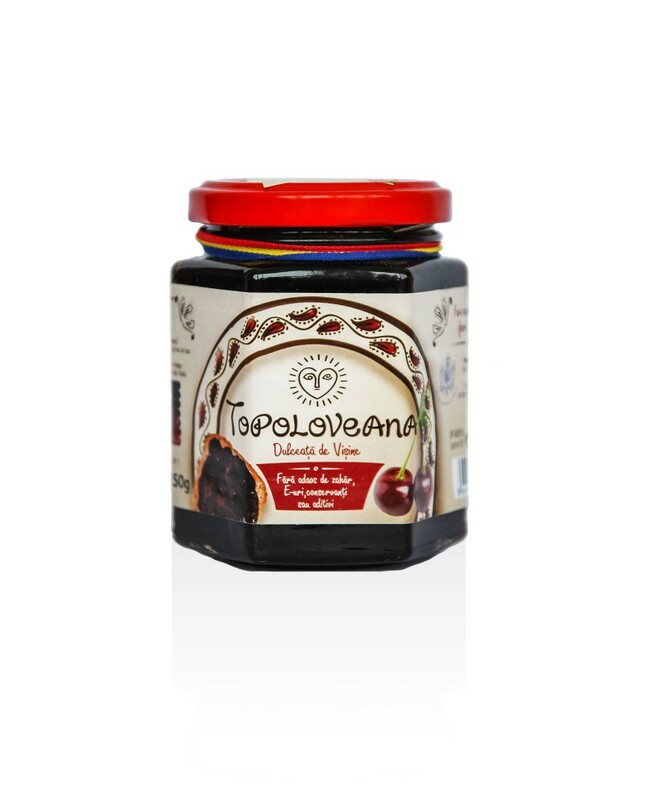 Topoloveni Sour Cherry Gourmet Confiture – 230 g.
Nutritional qualities: The Sour Cherry Gourmet Confiture has medium energetic value (287 kcal/100 g) and content of food fibers of 2,15%. Kidney. Also its reduce the layer of fat, decrease the cholesterole level and triglycerides, help the human body to relax and have an analgesic effect. stress at cellular level, its contain a big potassium quantity which helps at the stabilization of the heart rate and skin health.